It’s little wonder that some of the world’s most well-respected designers have in their repertoire the ability to create elaborate interiors rich enough to rival Versailles. Decorative design is a much harder discipline than most – get it wrong and you might be one step away from a chaotic cocktail of jarring styles. 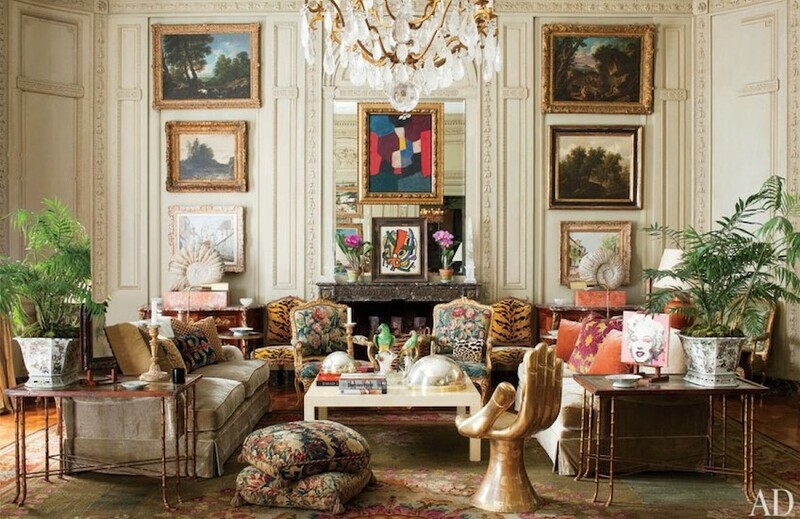 These decorative designers not only master the opulent look but inspire others to rethink their attitude toward it. 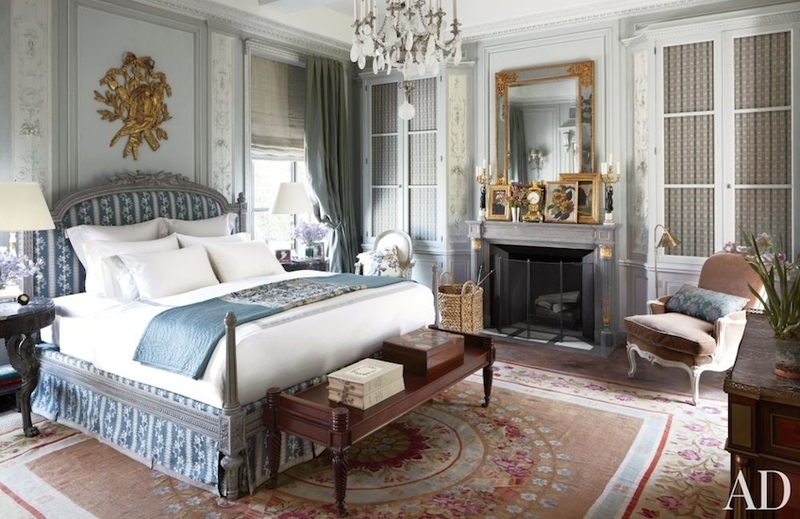 Internationally esteemed interiors maestro Juan Pablo Molyneux heads this design studio, creating an admirable aesthetic inspired by the Chilean-born designer’s love of France and Classicism. The studio is known for its grand interiors – often drawing on and combining ancient time periods and dynasties – which are surprisingly livable for the 21st century. Molyneux’s timeless use of colour (most often choosing a vibrant tone which is carefully applied throughout a room) offers his spaces a harmonious appeal even in his most eclectic of projects. 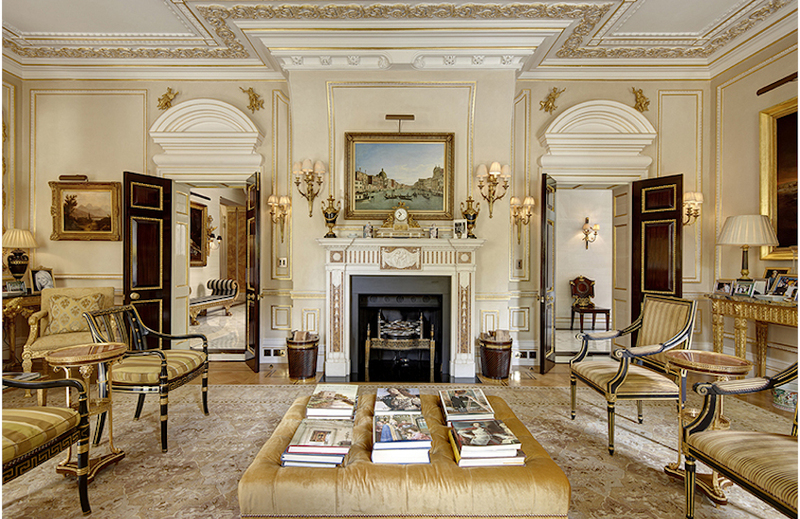 Trompe l’oeil walls, antiquities and Neo-classical furniture are mainstays of this firm. This interior design firm may have suffered a massive blow when its eponymous captain Alberto Pinto passed away in 2012 but, headed by his sister Linda Pinto, it seems the show does go on. 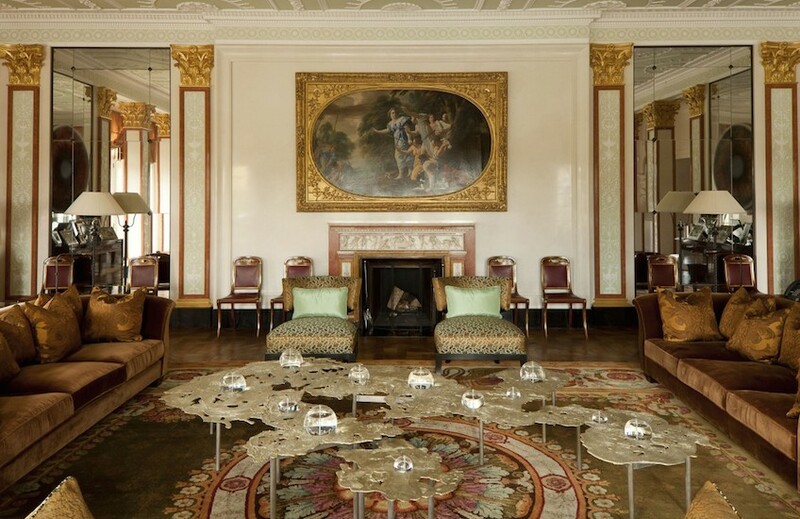 While it might excel in every area it tackles – from luxury aircrafts to modern interiors (as well as its inspired furniture collection) – the opulent aesthetic of its Classical and Oriental projects is truly breathtaking. 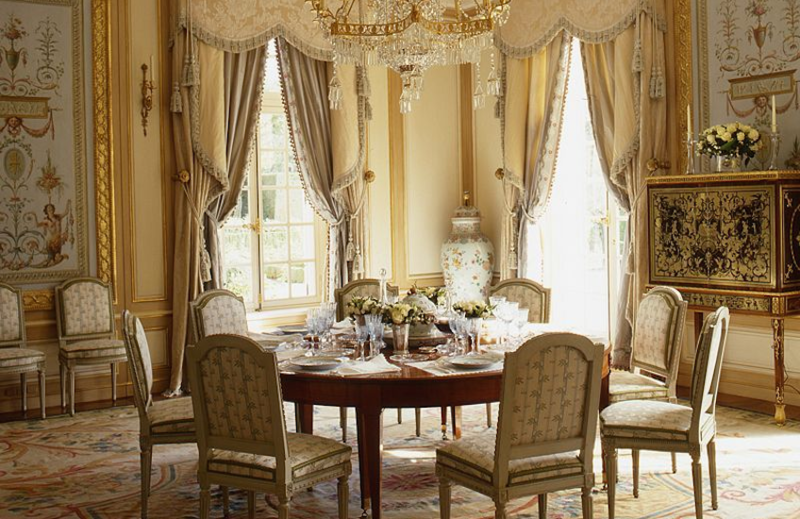 In this dining room, a gilded chandelier acts as an anchor to a circular dining set up with windows bedecked in tasseled drapes and upholstered cornices. Any designer who would be chosen to design 33 17th and 18th-century galleries of Paris’ Louvre Museum is one worth noting when it comes to the intricacies of decorative style – itself defined by its penchant for French Renaissance style. Which is exactly why Jacques Garcia makes this list. Of his style he says, “My natural inclination for grandeur encourages me to explore the splendours of the past, and releases new creativity in me.” His unabashedly elaborate interiors demands respect from industry professionals and fans around the world. New Yorker Alex Papachristidis cites touring the world’s most beautiful homes in his early years as his education (although he did also study at Parsons School of Design). “Growing up, I traveled widely and saw many beautiful homes in Europe and America, which helped cultivate my eye,” the designer explains. In general, the spaces Papachristidis works with aren’t as rich in architectural details (such as cornicing, floor-to-ceiling windows or boiserie) as many of the others on this list yet he shrewdly creates that sensibility – a skill which endears him to a modern-day audience. 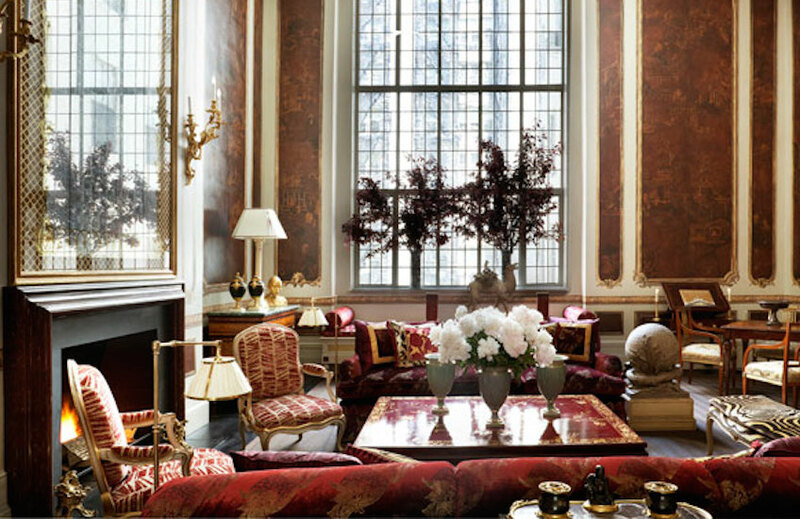 “I have always been attracted to history and to objects linked with it,” interior designer Thomas Jayne – founder of Jayne Design Studio – explains, “I find their connections and evolution fascinating.” Which explains why his portfolio is replete with interiors which nod to the designs of the past. 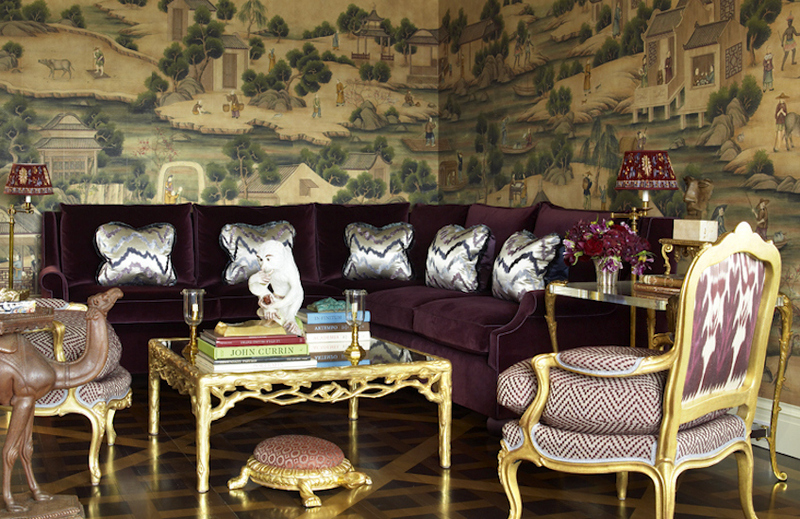 Neoclassical country homes are appropriately filled with furniture by Duncan Phyfe – one of America’s leading furniture designers – apartment walls are covered in hand-painted wallpaper offering an indoor-outdoor uniqueness. Nicky Haslam is one of the few UK designers which haven’t turned away from a the traditionally decorative look. Period homes maintain their design integrity via charming upholstery (which offers a welcoming appeal to what could be an overwhelming experience) and more wall mouldings than you can shake a stick at. Because of this, no two projects are the same and, with a portfolio as extensive as his, that’s no mean feat. His work is desired around the globe from Morocco to Monaco; his clientele, comprised of royalty and rock stars including Mick Jagger, Rod Stewart and Ringo Starr. A lived-in, old-world European air gives American designer Kara Childress her signature style without being too overpowering. Her combination of aged finishes with baby-soft colour palettes and must-have chandeliers is a refreshing alternative to gilded decorative spaces. 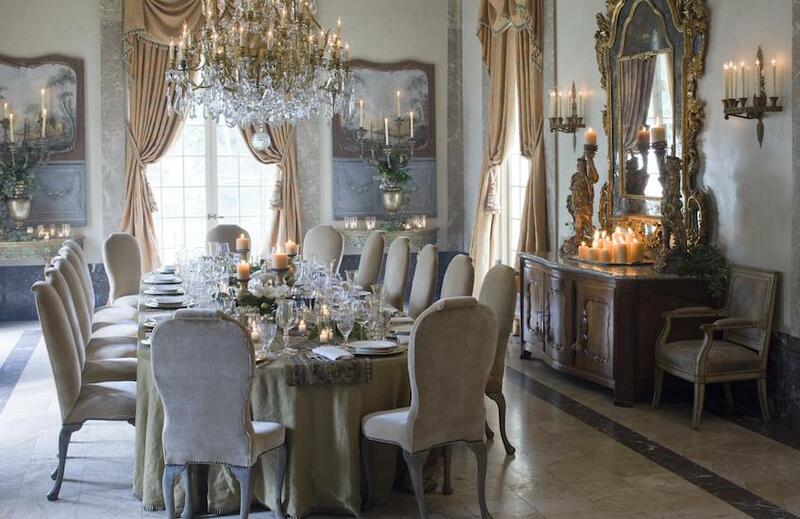 This dining room has all the essentials of a conventional decorative interior, however – an elaborate mirror, marble-topped buffet and swagged drapes. Twenty-eight years in the industry has honed Brazilian designer Jorge Elias’ creative hand. This tenure has rendered him capable of producing incredible, anti-minimalist spaces like the living room above – his own in his São Paulo property which was featured in Architectural Digest. A touch of eclecticism fused lashings of Chinoiserie adds character to his work and offers a less-than-twee slant on decorative design. Nothing else qualifies a designer for a Top 10 Decorative Designers list more than a commitment to sympathetic restoration of beautiful buildings. Her designs are recognisable for their perfect-condition Classical furniture and warm cream-based colour palettes – a diversion, perhaps, from today’s interest in new neutrals but certainly not one that will ever be out of style for very long. As the interior designer to the White House, it’s understandable that Michael S. Smith’s style leans more to the more traditional side of the design scale. 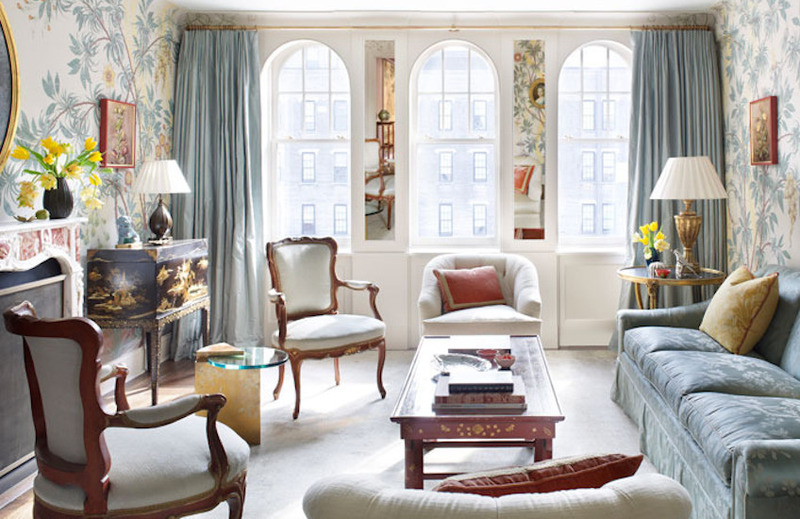 This bedroom from his own Manhattan penthouse proves that decorative style doesn’t have to be all or nothing. Each piece is relatively ornamental but a calming combination of blue and gray accented with touches of gold proves to be a winning combination. 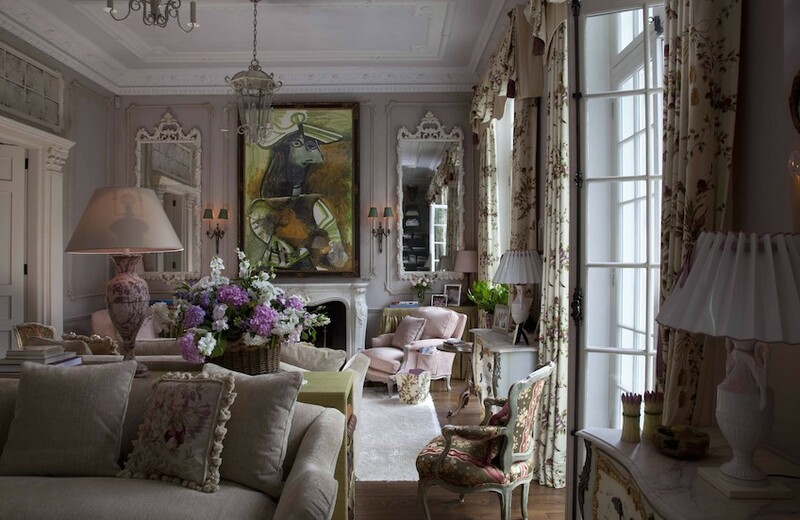 His style is perfectly described on his website as “a seamless blend of European classicism and American modernism”. We’d have to agree.